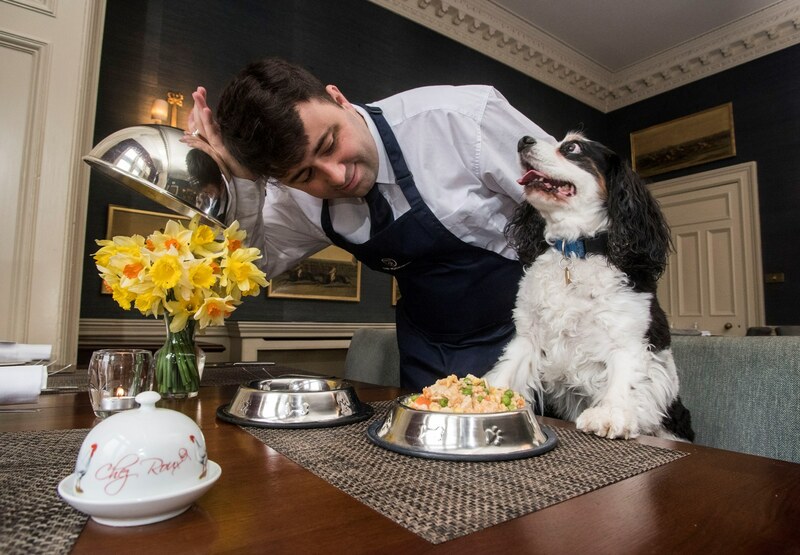 One of the world’s top chefs has made a dog’s dinner of a menu for Andy Murray’s swish Perthshire hotel. Legendary chef Albert Roux OBE, KFO, is celebrating Pet Month with the introduction of his unique culinary creations for canines. The dinners will be served across a number of Inverlochy Castle Management International (ICMI’s) pet friendly properties, home to Chez Roux and Albert & Michel Roux Jnr restaurants. The Cromlix resort, which is owned by tennis superstar Murray, will be joined by Inverlochy Castle in the Highlands, the Roxburghe Hotel in the Borders, Greywalls in East Lothian in taking part in the unusual venture. Albert Roux said: “I designed a menu that would appeal to pet enthusiasts, like myself, which would be available alongside our much-loved restaurant menus. “Guests like being able to bring their dogs with them when they stay at the ICMI properties, so we’re anticipating this being very popular. Each item on the dog menu costs £10.50 and can be ordered via room service.